Enjoy the finer things in life with our custom printed 2 Chocolate Butterfly Box. Comes with 2 luxury truffles inside a digitally printed butterfly closure tuck box. 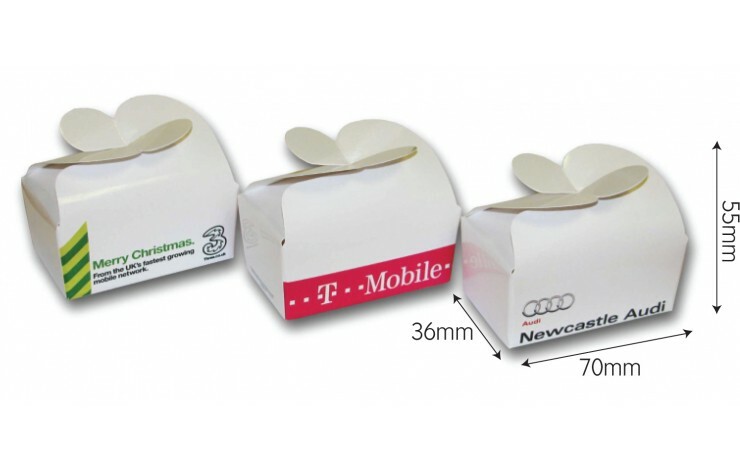 Printed in full colour as standard it has a large branding area whilst being a nice and compact gift, perfect for hotels. 6 month shelf life.